This is a die-cut Moto Meter porcelain sign. This particular Moto Meter sign is predominantly blue and orange with white text. 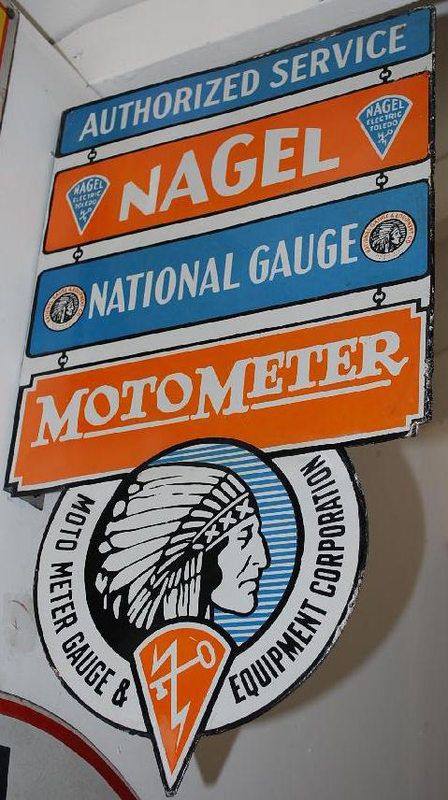 It reads, “Authorized Service, Nagel, National Gauge, Moto Meter, Moto Meter Gauge & Equipment Corporation” and features a Native American wearing a headdress at the bottom of the sign.